5footway.inn Project Boat Quay v Singapur, Singapur: Zarezervujte nyní! To upkeep the backpackers environment, we do not accommodate children under the age of 2 years old (children aged 2-12 years old must stay in a private room) -Guest is responsible for producing a valid passport and/or visa of entry into Singapore. We reserve the rights to deny any guest without valid documents. -For the safety and security of all guests, outside visitors are not permitted. In the event of cancellation within 5 days prior to arrival or no-show, one night charge is applicable. Looking for a place to rest your tired feet after a long day of exploration? 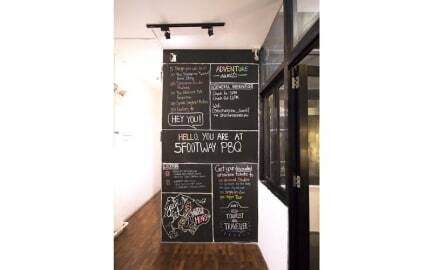 5footway.inn Project Boat Quay is situated along the Singapore River and offers contemporary dormitory rooms with free WiFi. A 10-minute walk to Clarke Quay MRT Station, it is located across the river from the Asian Civilization Museum and Parliament House. All bunk beds come with an individual reading light. Electrical sockets and personal lockers are also provided. Guests have access to a shared bathroom with hot/cold shower facilities and free toiletries. A 10-minute walk leads to the various nightspots at Clarke Quay and a 15-minute walk to Raffles Place MRT Station from 5footway.inn Project Boat Quay. It is a 30-minute taxi ride to Changi International Airport, or an hour's journey via train and bus. 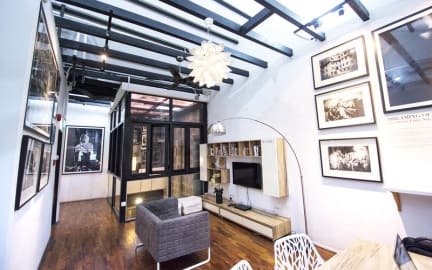 5footway.inn Project Boat Quay features Gallery 76, a photography gallery displaying iconic black-and-white images by international renowned photojournalist Edwin Koo. There is also an outdoor terrace with partial views of Marina Bay Sands and an indoor dining area where guest can bring in their own food.